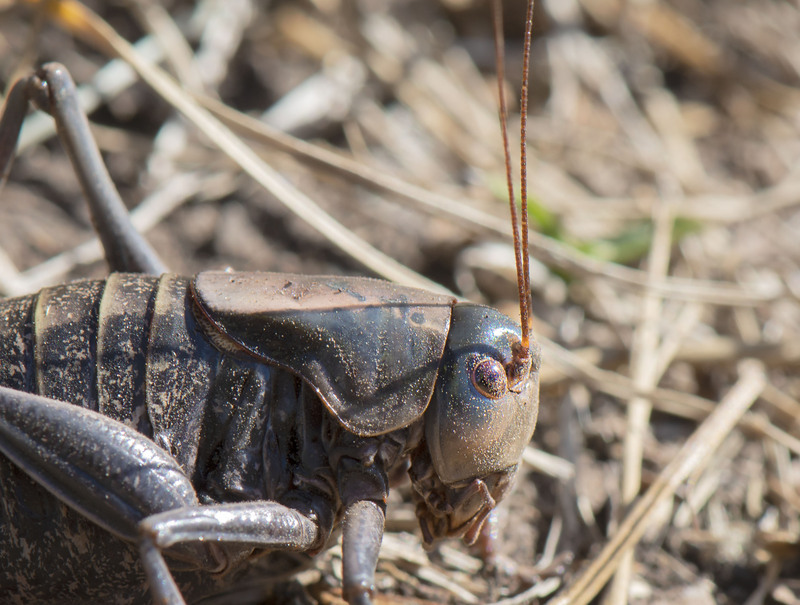 The Mormon cricket is actually not a true cricket, but rather a shield-backed katydid. The common name derives from an invasion of the crops of Mormon settlers in the Salt Lake area in the mid-1800s. 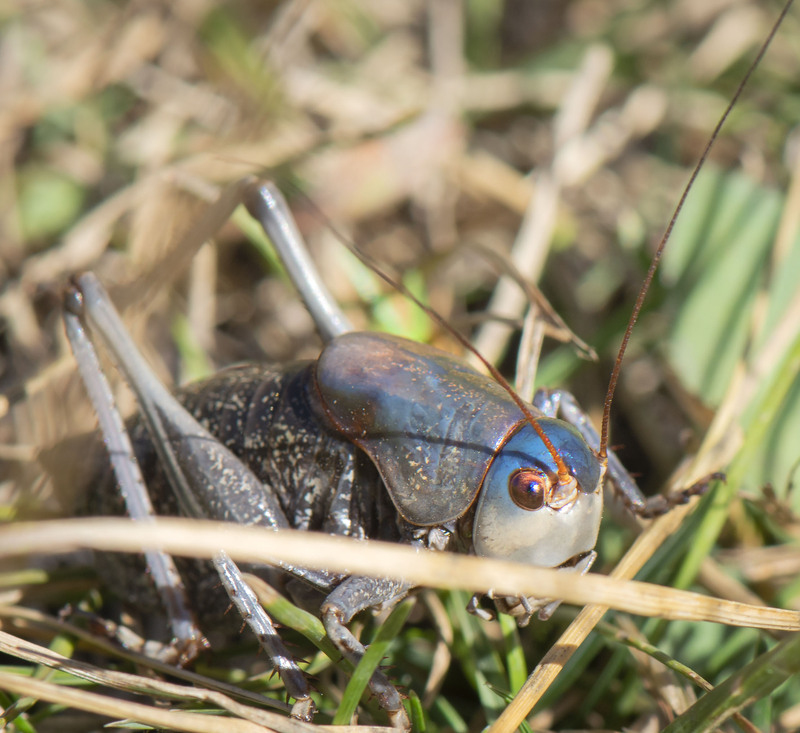 We ran across plenty of these katydids on a recent hike although not in the numbers depicted in this video https://www.youtube.com/watch?v=Yy3dQJYquoY. 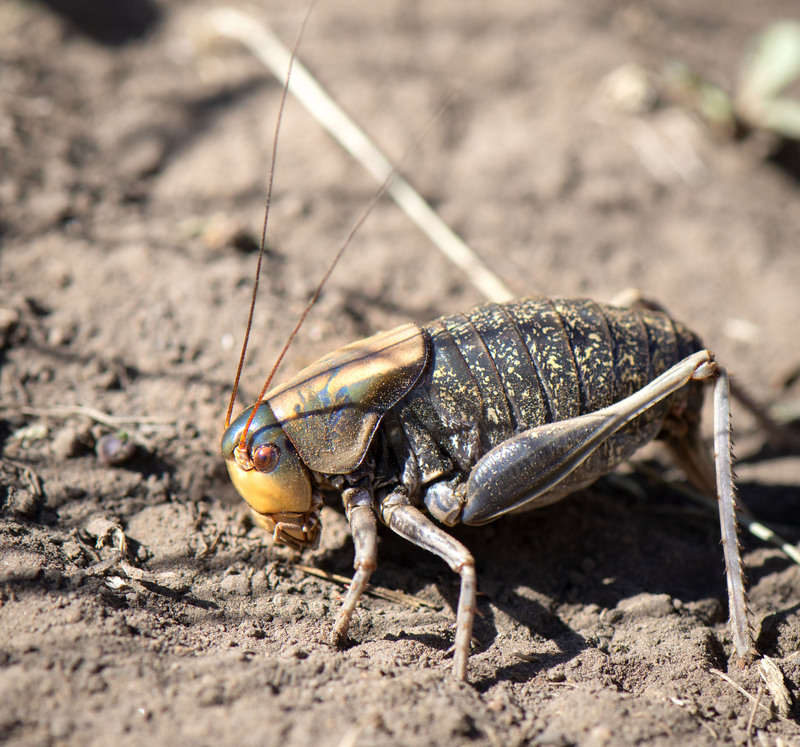 While these insects can be quite destructive to crops they do eat the grasses and plants in natural rangelands much as large grazing mammals do (or did). I also find them quite interning to look at as each has subtle color variations. Given these were not marching across our hiking trail in plague proportions I enjoyed seeing them on a late fall afternoon moving through the already dry grasses. They are a weird ‘Mad Max’ insect. Hi Jim, yes like spartan warriors and spacemen aliens all rolled into one. 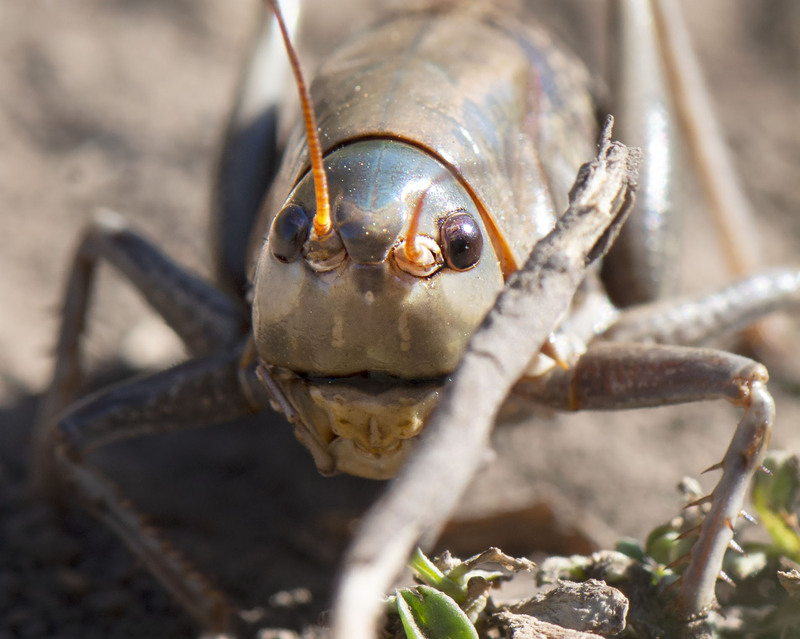 Perhaps an new character in the next muppet show…the Mr. cricket. Great colours on these beasties. Indeed, and they are all a bit unique in coloration. and that makes for fun cricket watching. no worries they are only photos. HI, yes these guys are fun to see. I bet farmers who have to deal with occasional swaps would not feel the same but hey… they are cool. Hi and thanks. They sure are interesting insects to observe. Each one fairly different in color. Hope you have a wonderful weekend.